Only personal information relevant for the purposes of evaluating the possibility of granting a PRIDE Dealership, granting credit and maintaining and servicing that Dealer or Customer will be requested and maintained. Financial information collected for the purposed of granting and maintaining a PRIDE Dealership or issuing credit will be maintained and secured within the credit department. This information is not disclosed to third parties or within the PRIDE group except as outlined below. 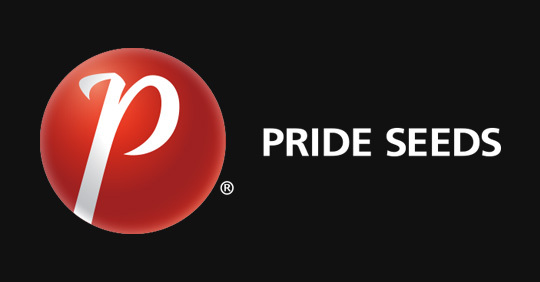 By applying and accepting a PRIDE Dealership, or in the case of direct sales by accepting products or services, the Dealer or Customer hereby consents to the company obtaining information, during the course of the relationship with the company, from credit bureaus, other financial institutions and references provided. The Dealer/Customer also consents to the company disclosing information to credit bureaus and financial institutions. (a) Direct Marketing: the company may tell the Dealer/Customer about products and services through direct mail, telephone, and other direct means. (b) Disclosure within the Company: The company may share information within the company, so that the company may tell the Dealer/Customer about products and services. (c) Disclosure to Third party: From time to time the company may disclose to third parties the Name and Address of the Dealer/Customer for the purposes of providing the Dealer/Customer with product or services that may be of interest. (d) Technology Traits: the Dealer/Customer understands and agrees that by purchasing and selling seed containing third party technology traits that the company is required to provide the Name, Address and technology trait seed sales of the Dealer/Customer to the technology trait provider. The Dealer/customer may withdraw their consent any time, providing there are no legal requirements to prevent this. If consent is withdrawn, the company's ability to service the account may be compromised this will be explained to the Dealer/Customer. If the Dealer/Customer withdraws any of the specific consents outlined above the company will make the appropriate note in the records and cease the activities for which consent has been withdrawn. Dealer/Customer files will be maintained for 7 years after the termination of the business relationship. During the eighth-year after termination files will be destroyed. The Dealer/Customer may request to review personal information the company maintains about them by contacting the companies credit manager or Privacy Officer. If during a review of the personal information an error or outdated information is discovered the company will endeavour to correct the file. Personal information collected about suppliers/growers is limited that which is relevant to the ongoing relationship with the supplier/grower as outlined in specific contracts or understood by way of acceptance by the company of goods and services. Personal information about suppliers is not disclosed to third parties and all information is maintained in a secure fashion. From time to time personal information may be collected for the purposes of administering the company's safety policies. This information is not disclosed to third parties. The supplier/grower may request to review personal information the company maintains about them by contacting the companies accounts payable department or Privacy Officer. If during a review of the personal information an error or outdated information is discovered the company will endeavour to correct the file.